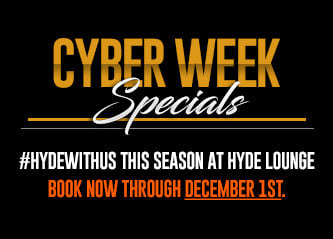 #HYDEwithus with a Season of Savings! CYBER SALE – STARTS NOW! Tis’ the season of savings on specialty priced games booked now through December 1st!